The habit of patent trolls buying up patents to sell back to practicing tech companies as a cash cow exercise (whilst not making anything themselves), has been prolific and costly in the States. Patents in the US encompass more abstract concepts than are allowed in Europe. With an estimated bill of around $29 billion in direct costs and legal fees in the States, the advent of a new European unified patent scheme after 30 years, has stirred Google, Apple, Microsoft, Samsung, HP, Blackberry, Cisco, Deutsche Telekom, Intel, Yahoo and others into collective action to seek clarification on bifurcation and injunctions before rollout. It would be refreshing to have the tables turned on the trolls for burden of proof to avoid costs, disruption and commercial disputes that will only harm the consumer. Blackberry’s search for a buyer may be over as Fairfax who owned 10% of Blackberry stocks have proposed an offer as part of a consortium to purchase the company. With a £3bn deal on the table, Blackberry’s official stance is that they will continue to explore all options whilst negotiations continue. However, with 4,500 jobs cut last week we may see a decision made sooner rather than later. A buyout may be music to Blackberry’s ears, but it does not guarantee success as the competition is getting ever stronger and the gap between Blackberry and Windows Phone has grown substantially. Blackberry will need more than just extra cashflow to stand a chance of fighting back to become a leader once more in smart phones. Following the recent launch of the new Galaxy Note 3 smartphone, it would appear that Saumsung are bringing something old and not so savoury to the table with their recent product launch. Despite pan European regulations introduced in 2012 to broaden access and reduce prohibitive roaming charges across states, Samsung have locked the Galaxy Note 3, preventing use of local networks or SIM cads outside Europe other than for emergency calls. Hopefully a groundswell of protest from Samsung’s customers will bring the “global” back to GSM in this sorry story. 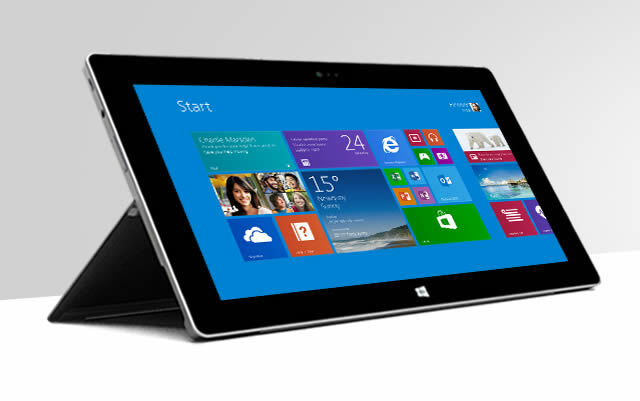 Microsoft this week announced the follow ups to their first tablet, called Surface 2 and Surface Pro 2. Whilst both devices look similar to their predecessors, they are more powerful, with better displays, thinner and most importantly a 75% increase in battery length. Microsoft is still bundling Office with the entry level Surface 2 and buyers of either will get 2-years of 200GB Skydrive storage and 1 year of international calling with Skype. With cheaper prices to the originals, Microsoft is being very aggressive with a combined Hardware and Software approach, which it needs if they hope to steal either mind or marketshare from Apple and Google in the tablet market. The NHS is starting to wake up to the fact that 85% of its desktops are running on an obsolete Microsoft operating system. With Windows XP expiry looming like the grim reaper in April 2014, EHI Intelligence’s research calculates there are 677,000 computers in the NHS which will be unsupported after this date. 14% (or just 110,000) are running the Windows 7 OS and just 1% using Windows 8. There are ways to avoid an expensive PC upgrade. Amicus ITS is holding a seminar on 7 November specifically for healthcare and the public sector markets with IGEL, regarding their UDC converter and Amicus ITS’s management solutions. Book a place now via marketing on: 02380 429475. Two main technologies to protect mobile business application data have been vying for the attention of Managed Service Providers (MSPs). According to ABI Research, app wrapping solutions are anticipated to have a 27% surge in adoption through to 2018, due to their simplicity. With the evolution of the enterprise mobility market, Mobile Device Management (MDM) vendors are identifying the benefits as a value-added solution for customers. As long as MSPs are able to meet the needs of enterprise’s increasing demands associated with their growth and MDM requirements and security needs, they should keep their customers satisfied. HP today announced a new device line-up including a Laptop with Leap Motion built in. Leap Motion was original funded via Kick Starter and afterwards sold as a standalone device you can plug up to your PC via USB. Leap Motion lets you use touch less hand gestures to control your PC. With HP now official supporting Leap and building it right into their Laptop it gives users a new way to interactive with their PC, this makes even more sense when paired with the very touch friendly interface of Windows 8. Using hand gestures arguable makes allot more sense that touching a screen attached to your laptop depending of course on how well it is integrated. Jolla is a company founded by ex-Nokia employees with the goal of making new, innovative phones. Their first model which is planned to release at the end of the year runs on a new OS called Sailfish. The phone is simply called Jolla and in addition to running native apps is compatible with the Android App store. The real challenge Jolla faces is fierce competition from the very mature platforms out there; Android, iOS and Windows Phone. Unfortunately it’s not just a great phone needed to tackle today’s market but the entire ecosystem. A recent Gartner report confirms they are still wary of the nascent Managed Mobility Services (MMS) players. They are still seen as having insufficient depth in worldwide deployments of smartphones and tablets. Assessment criteria included technical and financial management, security and content management with special focus on authentication encryption and containerisation drawn from policies on access and use of corporate resources. Enterprise mobile management is still an emerging delivery field, but with a lot to prove to clients as IT departments struggle to keep pace with change. Meanwhile Forrester have published their report on Enterprise Mobile Engagement. 74% agreed that mobile engagement was a major business priority, whilst 43% reported that creating and maintaining a wholly in-house mobile solution, integrating new architecture on different platforms was a significant challenge. Forrester believes there is good merit in using external suppliers to allow IT departments to focus on core business needs. The benefits of such trusted assignment should enable a healthier management and efficiency by taking a cross channel approach. Do Apple’s new phones take the pip and does it herald the end of the password? This week at WWDC Apple had few surprises for us and announced two new iPhones as expected. The first was the iPhone 5C and is last year’s iPhone 5 in a brightly coloured plastic shell, rumoured to be a cheap phone for emerging markets. But at a starting price of £469, it is surely not cheap. 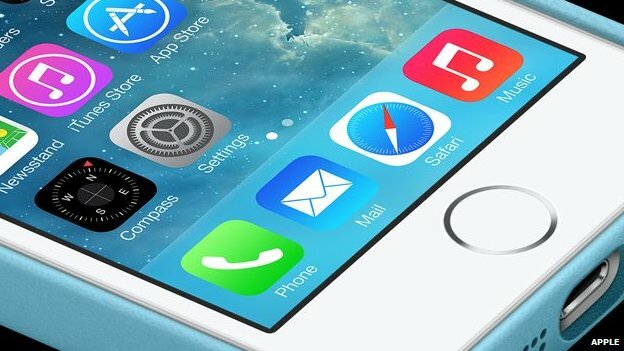 Apple’s new iPhone 5S unveiled a subtle Touch ID feature to enable users to access their phone with a press of the finger. The technology has long been vaunted and follows Apple’s purchase of Authentec in 2012. However, the technology is not yet without pitfalls – gelatine in Gummi bears for example have been sufficient to spoof fingerprints and enable faking elsewhere. Also, privacy issues surrounding storage of biometric body data alarm some. However, the Fido (fast identity online) Alliance between Blackberry, Google and Paypal signal serious intent to make it happen in the future. A mix of multi-modal biometrics (iris reader + fingerprint) with more live two-factor authentication might underpin the next evolution of security. Whether Apple has done enough here to support the next 12 months for iPhone will be an interesting waiting game. 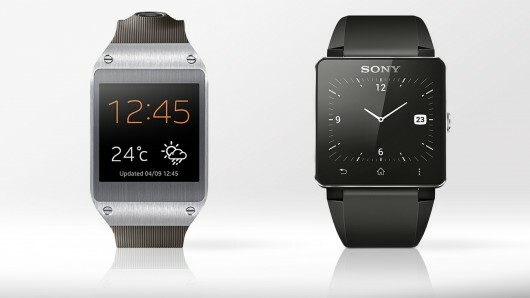 Both Sony and Samsung are betting on wearable computers to be the next commercial IT trend. With announcements of Smart Watches form both companies just weeks before Apple’s WWDC, it seems they may have been expecting Apple to join the wearable computers market, as had been heavily rumoured. The Smart Watches connect up to your Smart Phone and gives you the ability to glance at your watch to check notifications, without pulling your phone out of your pocket. The main downside to these so far is the lacklustre battery life compared to a traditional watch. If you can get used to a change in your charging habits and see the benefit of glanceable notifications at any time, then this may be the must have accessory for you. Back in 2011 when ex-Microsoft Stephen Elop became CEO of Nokia many raised eyebrows. Even more so when months after, he announced Nokia would switch from Symbian phones (having 37% world market share) to the new Windows Phones 7 platform. This week Microsoft and Nokia announced Nokia will sell its entire Devices & Services business and licence its patents to Microsoft for €5.4 billion. 32,000 Nokia employees will transfer to Microsoft including Stephen Elop, who stepped down from CEO to Executive VP Device & Services. The transaction is subject to shareholder and regulatory approval and is expected to close in Q1 2014. Stephen Elop is also front-runner as the next Microsoft CEO. This move solidifies Microsoft’s dream of being a devices & services company, but have they gone a step too far and are in danger of scaring off their current mobile OEMs? Microsoft and Googles’ talks with the US Department of Justice over surveillance disclosure has hit a wall. They are now planning to sue the US Government for the right to reveal information about official government requests of user data to the public. Ever since their association with the NSA’s Prism internet surveillance program, they have been attempting to clarify their positions. “We believe we have a clear right under the US Constitution to share more information with the public,” Brad Smith, Microsoft’s legal counsel wrote. The outcome of this case could bring more transparency to the type, frequency and how the US government obtains data from corporations. It could also be used as an example for future security cases against the Government. Samsung has announced it will be installing anti-virus software on its Galaxy-branded Android devices. With so many hackers targeting Google’s Android systems, Samsung are clearly hoping it will resonate with business users as Apple and Windows phones have trumpeted their respective security facilities as key selling points. With the rise in BYOD and tablets, Samsung’s development of their Knox security product, is getting traction with top end business consumers as the Pentagon has now authorised use of handsets with the software pre-installed. Following the Government’s scrapping of the national NHS patient database in 2011 after costs reached £12 billion, new plans have emerged for its reinstatement. The Government injection would be £1 billion over 3 years, but hospitals would need to bid for cash from a technology fund to implement the system locally and match Government contributions. Local healthcare providers would need to find individual providers to implement the scheme vs the central one size fits all previous model. The worthy goals of reducing errors and speeding up consultations are fine, as long as privacy issues surrounding data security and confidentiality can be assured.